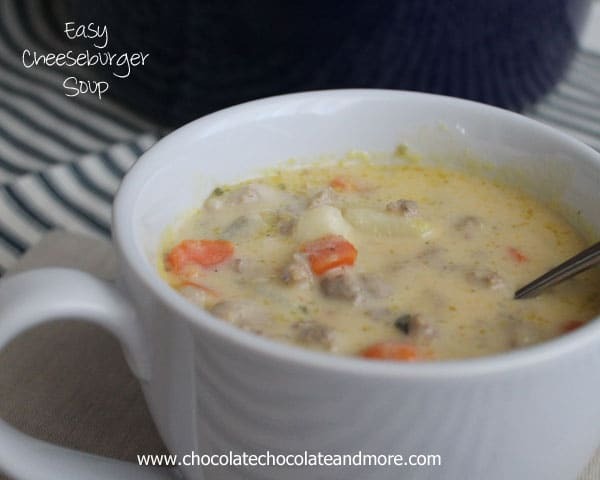 Easy Cheeseburger Soup - Chocolate Chocolate and More! 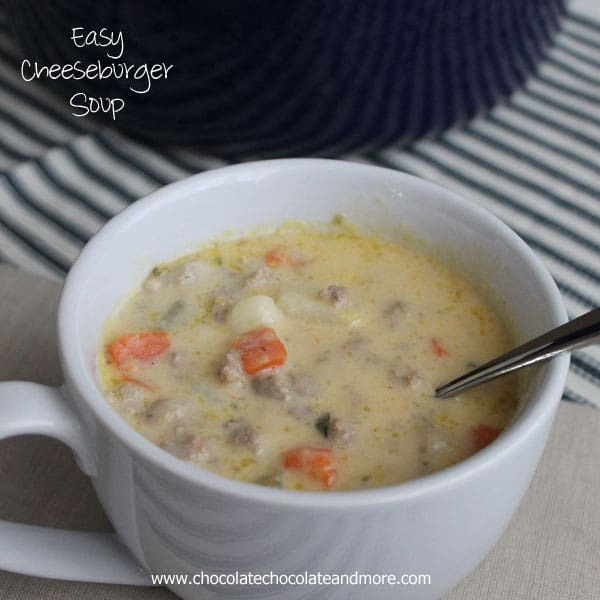 Easy Cheeseburger Soup-can be ready in just 30 minutes! When it comes to dinnertime, I want it fast and easy. With 3 teenagers, the time between school and dinner is prime time for the kids. It’s when Mom’s taxi serve gets called in for duty. I don’t have the time (or the want) to spend a few hours making dinner. Dinner has to be efficient and still taste good. I usually buy family packs of meat and chicken and just try to plan ahead. I’ll buy the 5 pack of chicken breasts, Use 3 the first night and then bake the other 2 for chicken salad or pot pie or whatever for another night. I do the same with ground beef, that 2-3 pound family package is perfect to get 2 meals out of. I’ll brown up all the beef then divide it, One night tacos, One night stroganoff, use it for spaghetti sauce. Or, I’ll use it for this soup. Having the ground beef already cooked and in the fridge, makes putting this soup together a snap. And Fast. I can have this on the table in about 30 minutes. Just cut up a few veggies, toss them in your pot, add a few more ingredients, let it simmer. Serve with some good bread and you’ve got the perfect meal for a cold day! In a large soup pot, melt butter. add in carrots, celery and onions, Cook over medium heat until onions become translucent. About 5-8 minutes. Add chicken broth, potatoes and parsley, let come to a low boil and cook for 10 minutes, make sure potatoes are fully cooked. Turn heat down to low, stir in ground beef, cheese and milk, add salt and pepper to taste. Once cheese is melted and all ingredients are blended, serve with fresh bread. This is so beyond genius girl!!! Hi, love your recipes and will try the cheese burger soup, but I am from Perth Australia and don’t know what Velvetta Cheese is.?? Veleeta is a soft processed cheese that melts easily. You could substitute a cheese sauce if you have that there. This will be wonderful on a cold night. Thanks for sharing! Have you ever made this using “sweet” potatoes instead? Have asked questions on couple of your recipes and no responses. 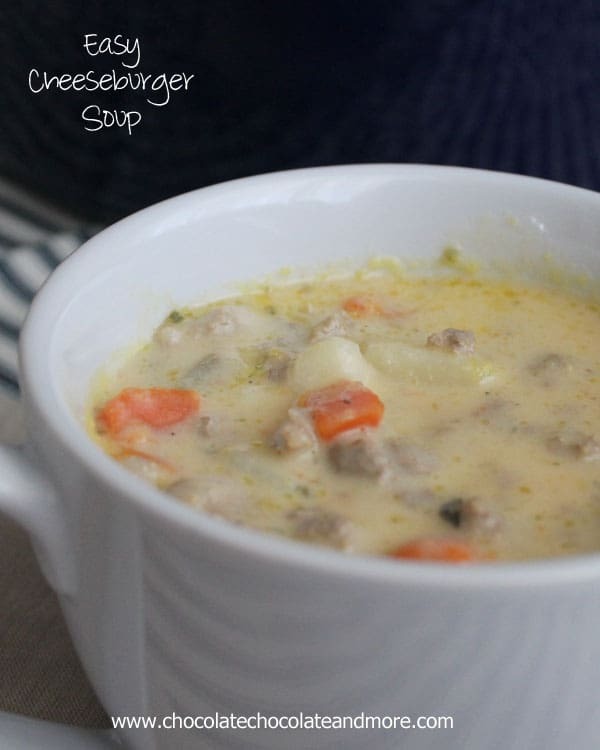 Cheeseburger soup has been on my list ofnrecipesmto try. 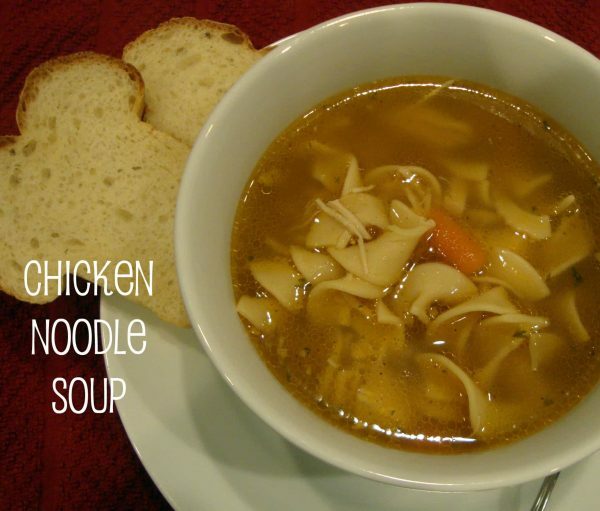 I bet even my hubby who doesn’t consider soup a meal, would be satisfied with this one. And the little guy devours anything with cheese. Could I make this with regular cheddar cheese instead of the velveeta? If so, how would I substitute? I tried this recipe the other night. I did not have any parsley, so I substituted basil. It turned out really good. This was super easy to make and ready in no time. This will definitely be a repeat in our house. Thanks! You can use any cheese you want. 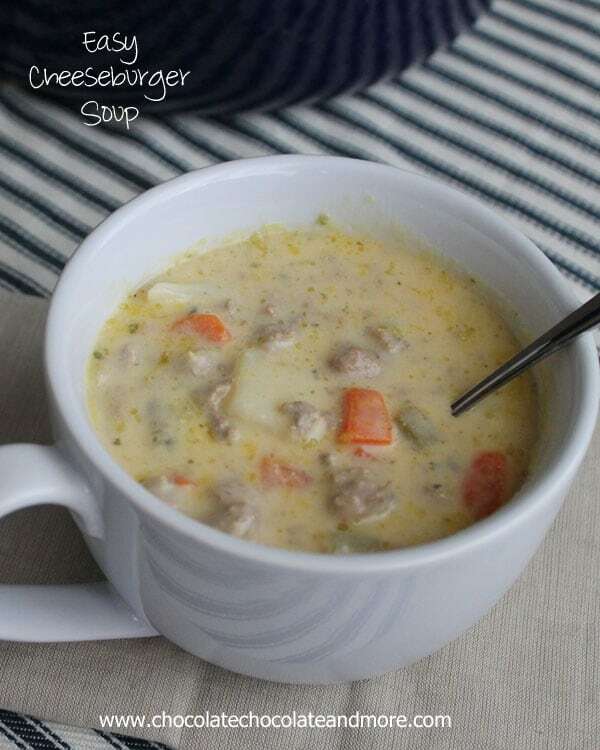 Using Velveeta or Cheese Wiz gives the soup a creamy taste and blends well. Using all cheddar, or another unprocessed cheese will tend to separate and can also scorch easily so you’ll need to keep it stirred and watch it. Husband says this is a keeper, I agree.